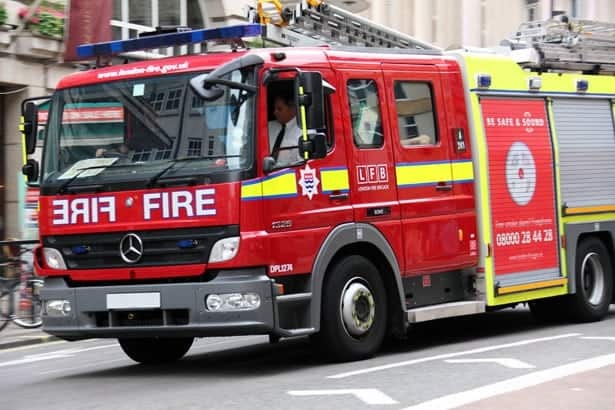 The fire service got a record number of call-outs to obese people last year, rising from just over 700 in 2012 to 944 in 2015-16. Firefighters are being called to move obese people from buildings because they are too large to move independently. According to a spokesman for the National Obesity Forum, the problem is worsening because obese people are getting larger. Tam Fry told the BBC: “This is not about more people being obese. Lifting equipment and special slings are often used, while windows, walls and interior fittings have to be removed to facilitate extraction on occasion because individuals are so large. Chris Jones, watch manager from South Wales Fire Service, told the BBC: “Some of these incidents have become protracted overnight while we’ve needed to change certain elements to the building to make that rescue safe before we can bring the patient out. “If we are doing what we call an external rescue where we’re taking the patient out through a window, quite commonly we’ll remove the window frame itself and we will actually sometimes drop courses of brickwork down to create that space. Previous PostCorbyn Wins – What Next?